Home of the Dublin Historical Society museum since 1920. 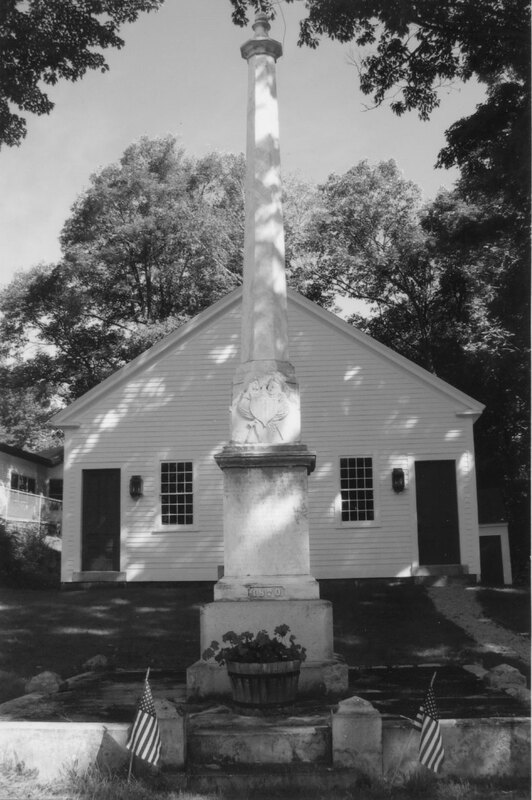 The Civil War monument, erected in 1870 on an island at the intersection of Route 101 and Monument Road, was moved to this site in 1929. President William Howard Taft leaving the Unitarian Church (now the Dublin Community Church) on August 28, 1910. Taft, his wife and his daughter Helen were guests at the Dublin home of Franklin MacVeagh, Taft’s Secretary of the Treasury. 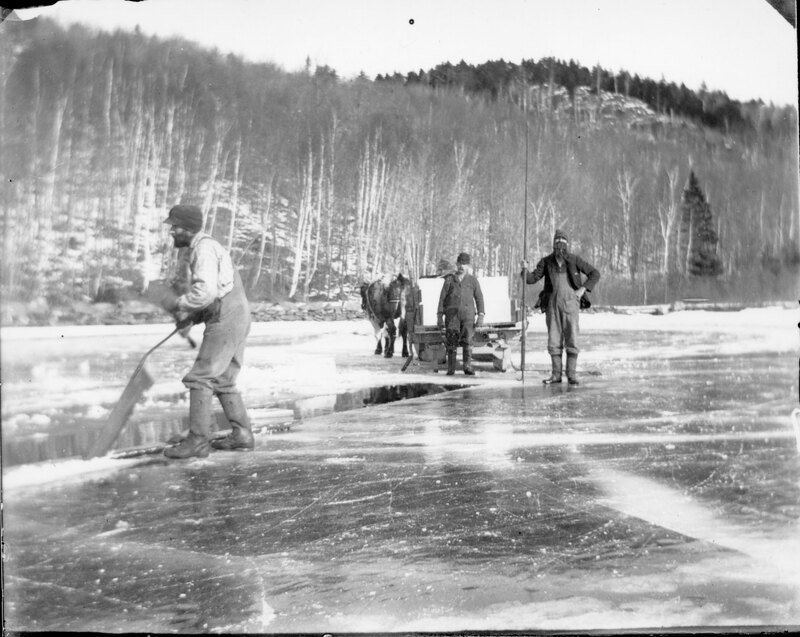 Harvesting ice on Dublin Lake circa 1900. Postcard view of Dublin village circa 1905. 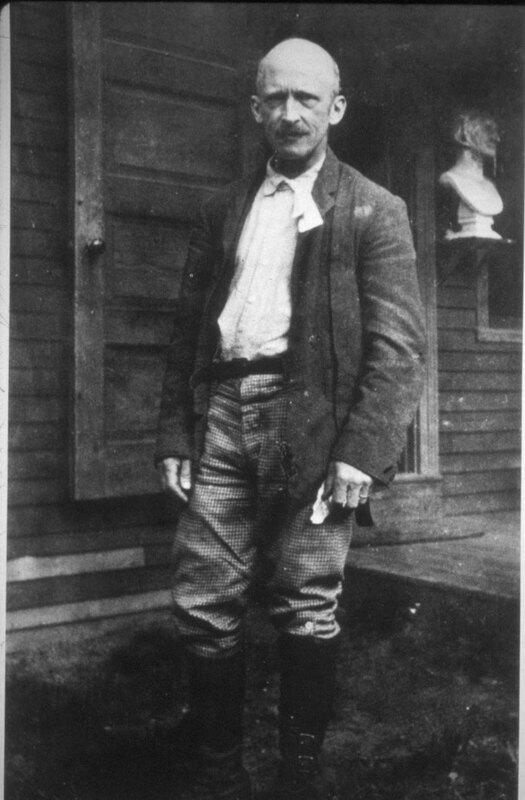 Artist and naturalist Abbott Handerson Thayer on his porch near Dublin Lake. 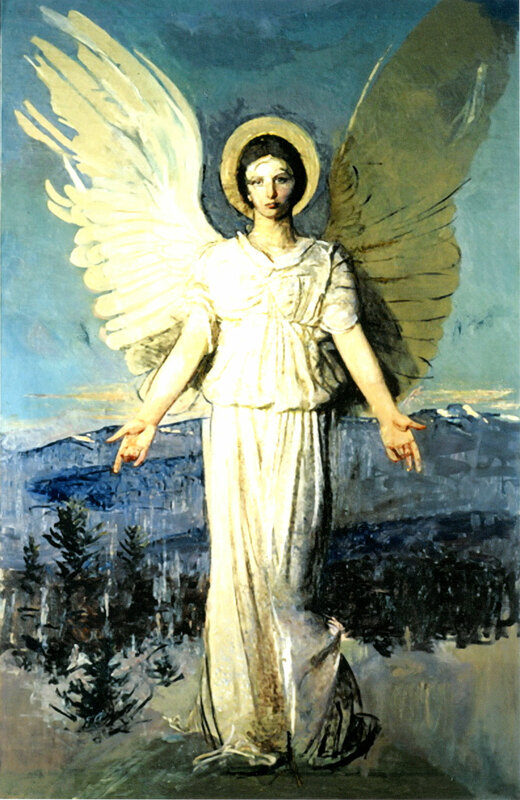 Monadnock Angel painted by Abbott Thayer in 1921, the last of his many paintings of idealized women with wings. It can be viewed at the Addison Gallery of American Art. 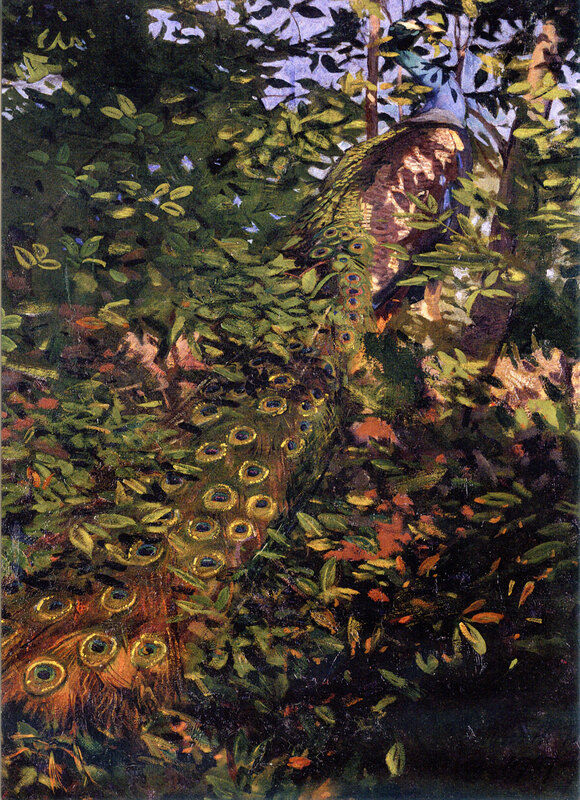 A painting by Abbott Thayer and Richard Meryman, was used as an illustration to represent Thayer’s theories of concealing coloration, the early exploration of what came to be called camouflage. 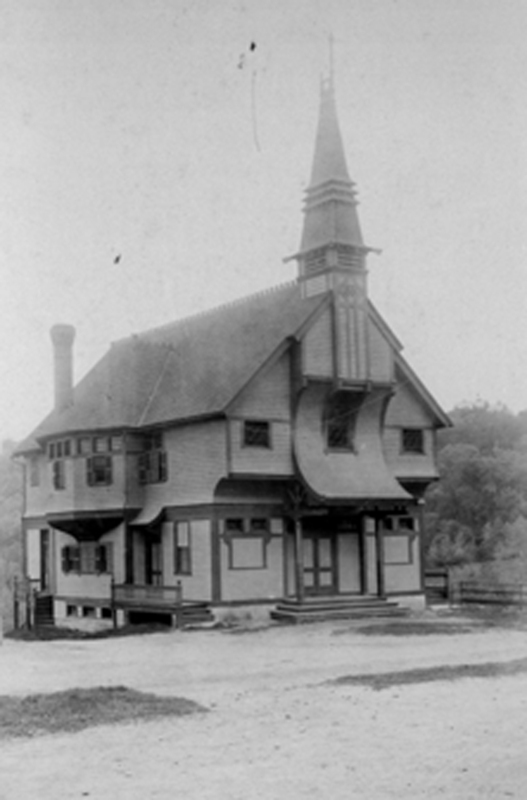 The Gothic details were removed in a 1916 renovation. 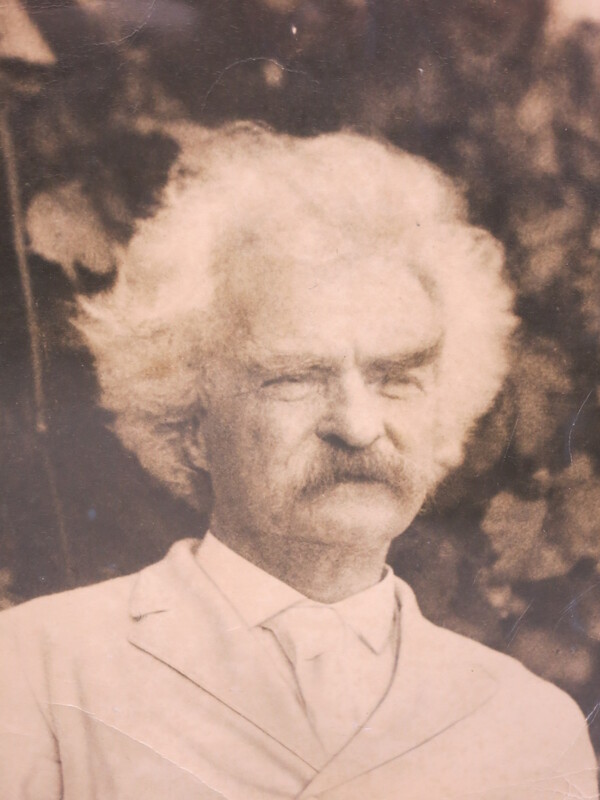 Portrait of Mark Twain taken by Dublin summer resident Elise Pumpelly Cabot during the summer of 1905 or 1906, when Twain rented summer cottages in Dublin. 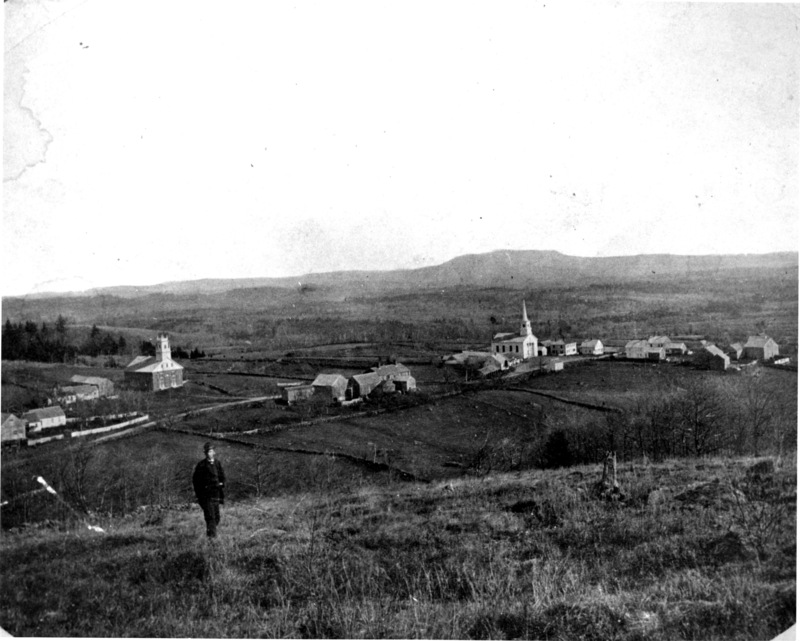 Photograph of Dublin village from Snow Hill circa 1865. 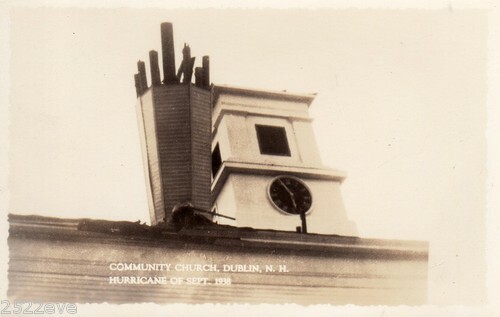 The September 1938 hurricane toppled the steeple of the Dublin Community Church. 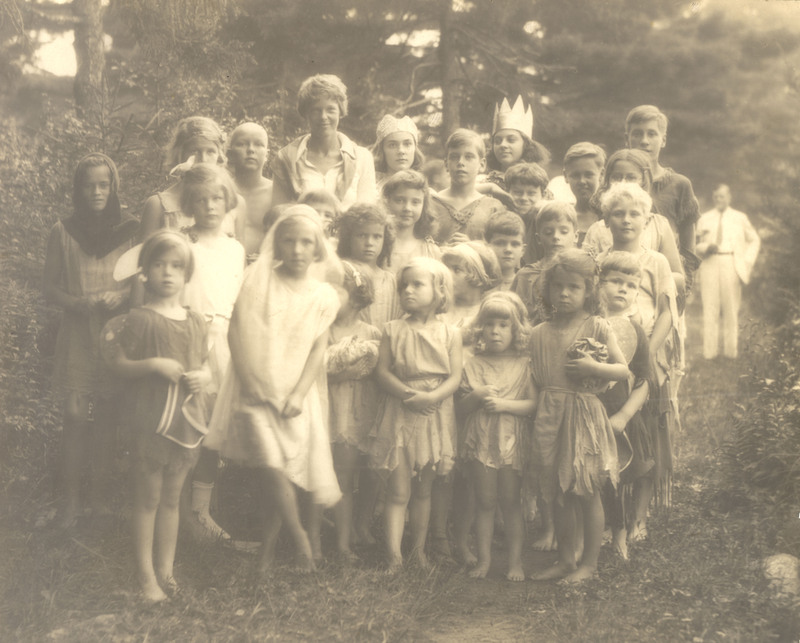 Pageant performed in her honor at Dark Pond in 1934. Earhart was a cousin of Corinna Putnam Smith. 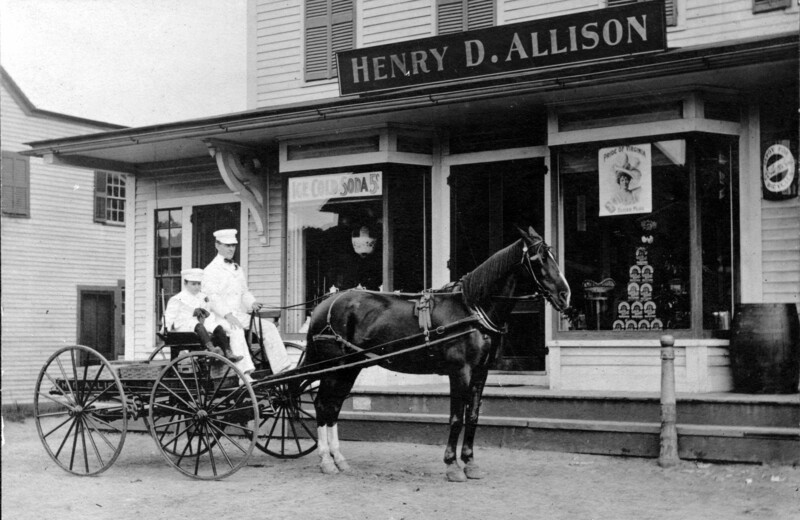 A store operated on this site from 1835 until 1983, when the Dublin General Store relocated. The building is now the Dublin Community Center aka the Dub Hub. 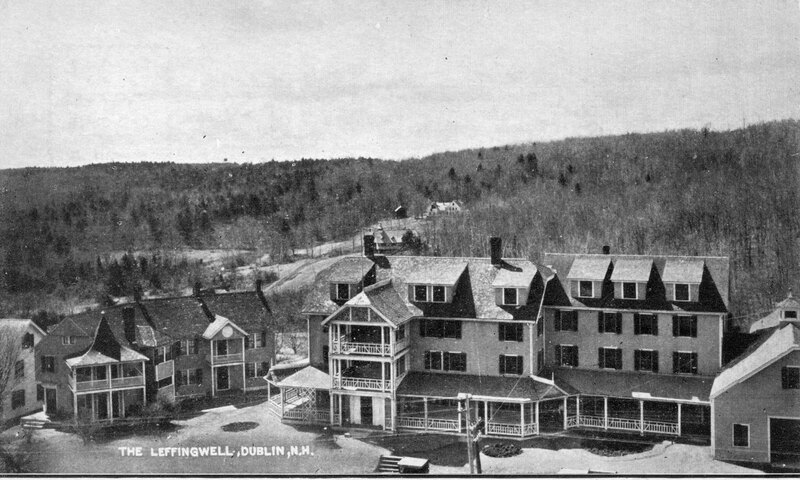 Postcard image of the Leffingwell Hotel, circa 1900. Dublin’s only extensive summer hotel was located on the hill above the library. It burned to the ground in November 1908. 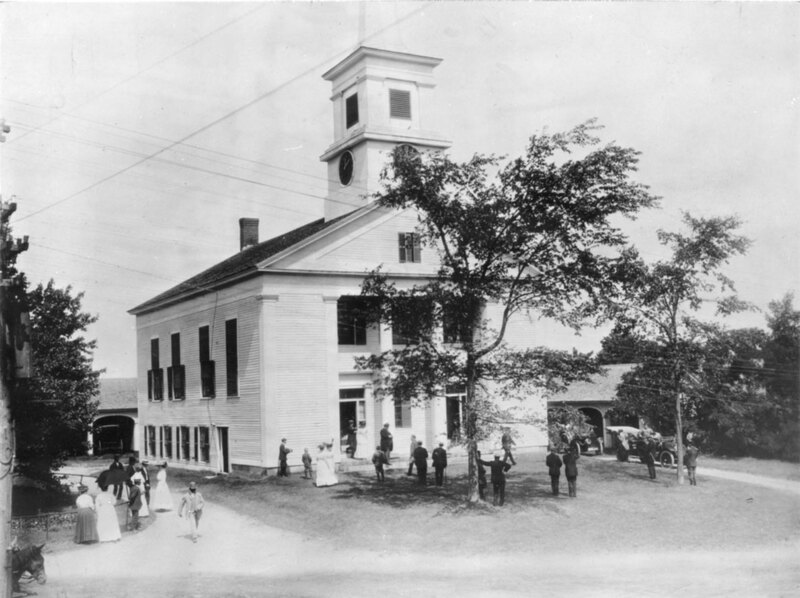 "Moved and Seconded: Town Meeting in NH". 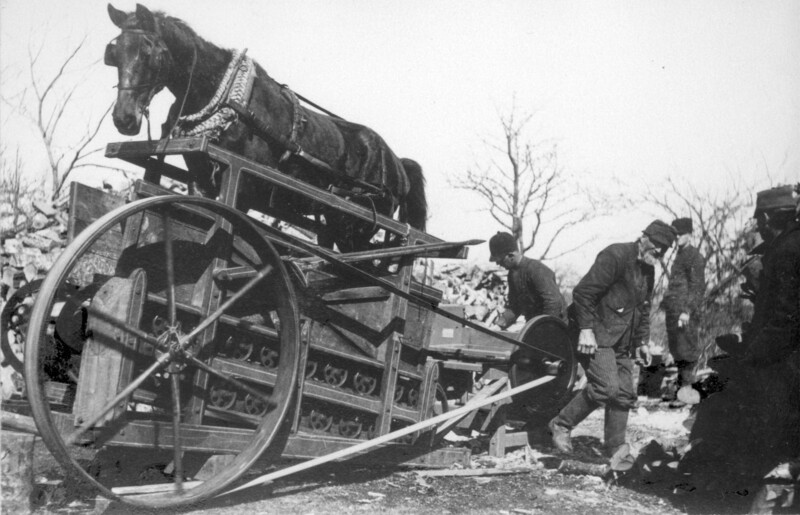 The Dublin Historical Society, whose mission is to “ . . . collect, prepare and preserve all historical facts, relics and memorials of all kinds pertaining to the Town of Dublin, including such portions of other towns as may originally have been a part of the Town of Dublin . . .,” was founded in 1920 and revived in 1986. 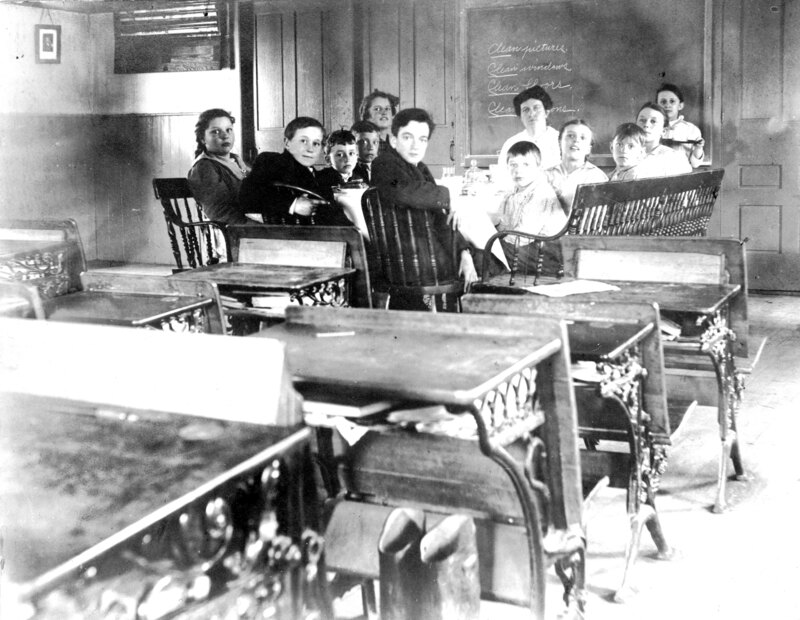 We also operate a small museum in an old one-room schoolhouse on Main Street just below the current elementary school. The museum is open in the summer on Saturday mornings from 9-noon. At all other times, the museum is open by appointment. Please call and ask for Russell Bastedo. Our main collection of letters, photos, documents, books etc. are kept in the Dublin Archives located behind the Dublin Town Hall. See our Archives page for more information. We welcome submissions to the historical society: books, letters, documents, photos, et al, that pertain to Dublin. If you are having a good “clear out” and don’t know what to do with that box of letters (and they have to do with Dublin or Dublin residents, past and present), give us a call before you go to the dump!